It’s that time of year again. The holiday lights are strewn across the city, and temperatures are finally hitting freezing. Although we love a good snow day, it is incredibly important to remember to winterize your home to protect it from the effects of low temps. If you haven’t already, read our post about using your heating system efficiently during the colder months first. 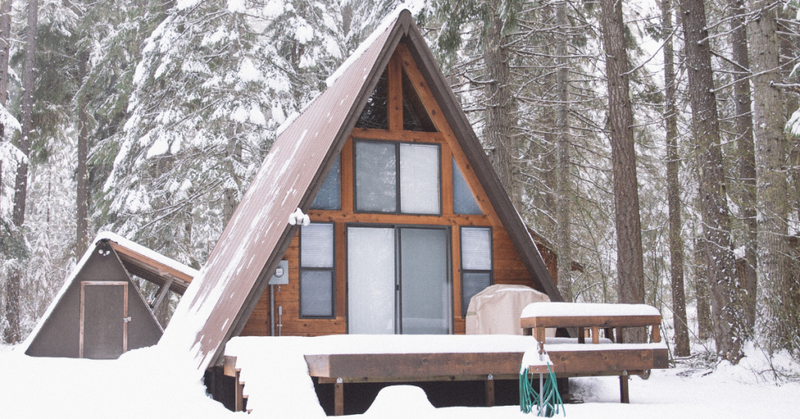 Otherwise, read on for Nomadic’s tips on winterizing your home. The first step in winterizing your home is to wrap your pipes. As water freezes, it expands and has the potential to burst the pipe. Burst pipes can cause an incredibly amount of damage to your home and will cost a huge amount of money to fix. Wrapping your pipes with foam protects them from the outside air, preventing the water inside from freezing. For in depth detail, check out this video from Home Depot. When temperatures hit freezing, you will want to keep your water running on the lowest possible setting. This prevents the water in the pipes it from slowing long enough to freeze! Chances are you haven’t thought about also winterizing your outdoor water faucets, but they are important to protect as well. The first thing you will want to do is to locate the shut off valve, indoors, and close it. Then, disconnect, drain and move all garden hoses into a warmer garage area. You can then install a frost proof hose bib, and wrap your faucet in insulation. After you burn a fire, be sure to move the flue back to a closed position. When a fire is running, it is 100% necessary to have open so that the smoke escapes. However, if left open, it could drastically drop the temperatures inside your home by releasing all of the heat outdoors. If you haven’t already, be sure to check the insulation in your attic. Insulation deteriorates over time and you will need to add more if this is the case in your home. If you are feeling ambitious, adding an insulated false ceiling in your basement prevents the cold from seeping in to the rest of your home. Be sure to store your outdoor plants, patio furniture and grill indoors. If you have a gas grill you will need to close the tank valve and disconnect the tank, is it is to remain outdoors. This winter is predicted to be incredibly cold, please follow these tips to prevent any sort of housing disaster! Also, be sure to check out our article on how to efficiently use your heating system for tips on keeping your home nice and toasty this winter.